33% of email recipients open their emails based on subject line alone, 69% of emails are reported based solely on the subject line and 40% of emails are opened on mobile first where the subject line only shows 4-7 words. [i] As a result of this it is imperative that you make your email subject lines not only short but punchy. Make sure that you summarize what your email is about and do it in an interesting way preferably in 4-7 words! Subject lines with 30 or fewer characters have an above average open rate. When creating your subject line try to create a sense of urgency, this can boost your open rates by up to 22%! Generic emails are boring! And what happens to boring emails? They get deleted right away or your readers may even unsubscribe! True engagement really happens when you talk to the email recipient directly. Personalize your emails by including the recipient’s name, however, avoid the word “Dear” as that has been flagged by many email spam filters. Make sure your email copy is relatable and personable, it increases the likelihood that it will be read and the likelihood that the reader will click-through. Always consider the objective of every single email you send. What is its purpose and what action do you want the reader to take once they have seen it? Every email should have a clear call to action. If you want the reader to read a blog, watch a video or even follow you on social media this must be clearly written and highlighted in your email. Great ways to highlight your call to action would be to use a bolded font, a larger sized font than the rest of the email, brightly coloured font and of course the tried and true high-contrast button. Once you’ve done everything you can make sure to review and analyze the results of your email campaign. Your email metrics will let you know which of your emails did well and which ones did badly and as a result you can determine which of your email tactics are working and how to adjust in the future. 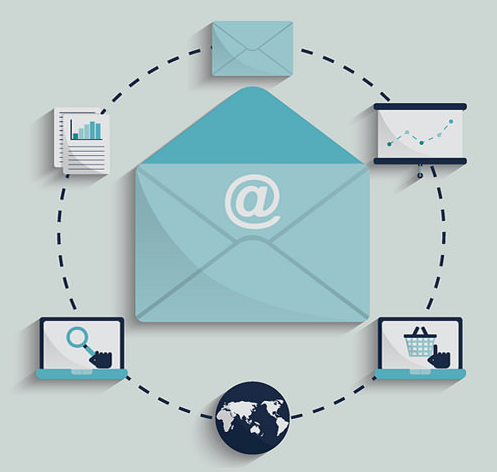 Email marketing is an essential B2B tactic and three quarters of companies agree! [i] To get started on your own campaign contact us today!